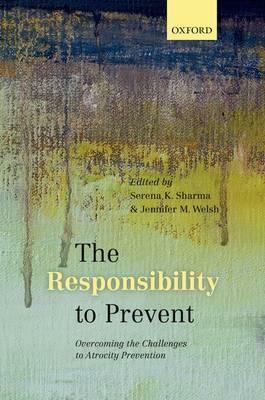 Among the constitutive elements of the responsibility to protect (R2P), prevention has been deemed by many as the most important. Drawing on contributions from an international group of academics and practitioners, this book seeks to improve our knowledge of how to operationalize the responsibility to prevent genocide, crimes against humanity, war crimes, and ethnic cleansing. the relative success of particular tools and approaches. studies, Serena worked with the former Canadian Minister of Foreign Affairs, Lloyd Axworthy. 5-year research project, funded by the European Research Council, on the 'individualization of war'.